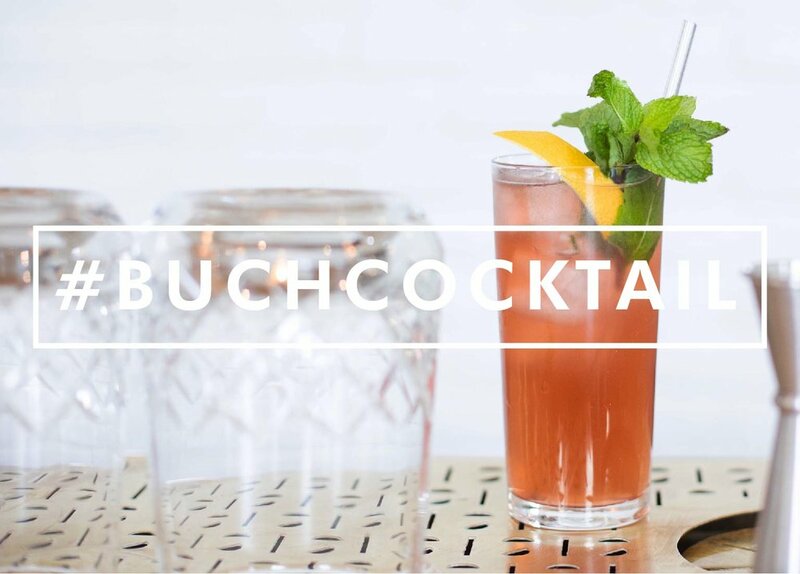 This months #BuchCocktail is courtesy of our friends at Wilfred’s, The Wandering Violet. The perfect cocktail for sitting on your patio enjoying the bright spring sun. Combine all ingredients except the kombucha in a tin with a few sprigs of mint, shake and strain into a Collins glass (or something of a similar variety) with fresh ice cubes. Top with True Buch Blueberry Rooibos Kombucha. Garnish with a lemon twist and a mint bouquet.